TORONTO, ON – The Fall 2018 issue of the The Growler Ontario, a quarterly guide to the province’s craft brewing scene, is now available. 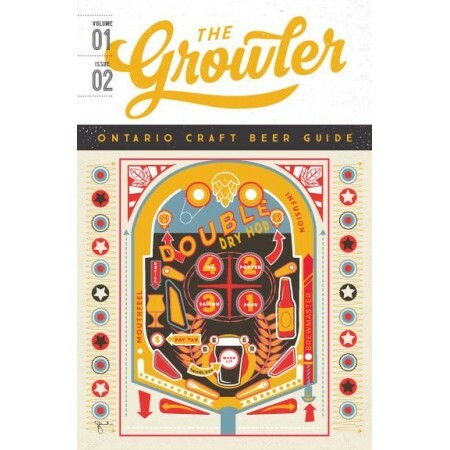 Similar to the original B.C.-based publication, each issue of The Growler Ontario features listings in which Ontario breweries are “mapped and profiled, letting you know what kind of beers are available, what amenities each brewery offers, where their beers are available.” While the inaugural issue focused on breweries in the Golden Horseshoe region, this second edition also includes coverage of those in Southwestern Ontario, with other regions to be added in the future. The Growler Ontario Volume 1 Issue 2 will be available at brewery taprooms and newsstands throughout the province starting this week, with subscription and online ordered copies shipping now as well. For more details, see the magazine’s Facebook page and Instagram feed.